You have made the decision to seek legal advice and assistance for your financial difficulties. You are tired of the stress and anxiety you feel not only from the mountains of debt, but also the relentless pressure placed upon you by the actions of your creditors. You want to make a fresh start, but are intimidated – after all, it is no easy thing to have to admit financial problems. You want the lawyer you choose to be client focused, experienced, and effective in solving your bankruptcy issues. 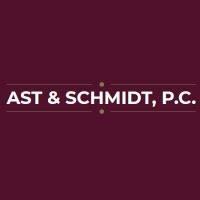 At the Ast & Schmidt, P.C. in Morristown, New Jersey, our attorney, brings his 25 year legal background along with his problem-solving mindset to make a difference in your case. Contact the bankruptcy attorney you can count on – David Ast. Our clients come to us from all walks of life – individuals, families, small business owners, people from all occupational backgrounds – with their unique financial situations, seeking protection from creditors and relief from debt. By tailoring our recommended solutions, we are able to effectively meet the needs of our clients. Our attorney has over 25 years of experience working with individuals just like you who have felt the burden of overwhelming debt and are looking for an attorney to explain the options available to get your financial problems under control. Mr. Ast is a member of NACBA, has served for seven years as the Morris County Bar Association Bankruptcy Committee, and is a member of the New Jersey State Bar Association Bankruptcy Law Section.